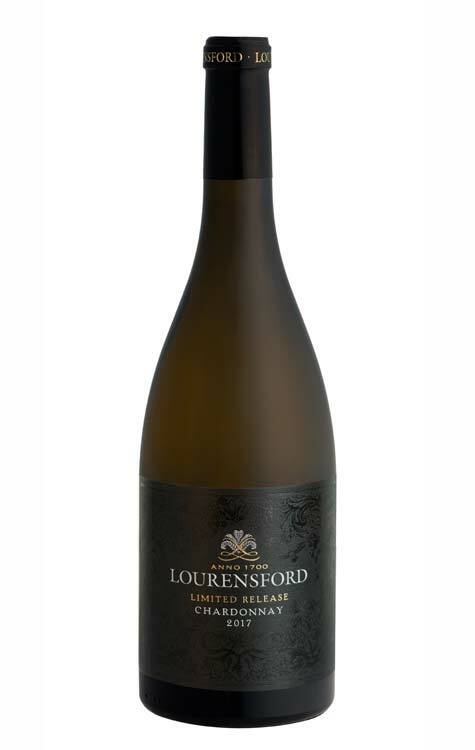 Soft, enjoyable and quaffable wines, exceptional value for money. 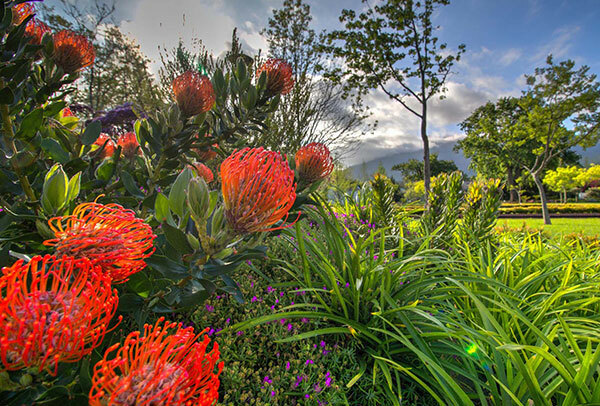 The eye-catching packing is an extension of the Lourensford garden theme. 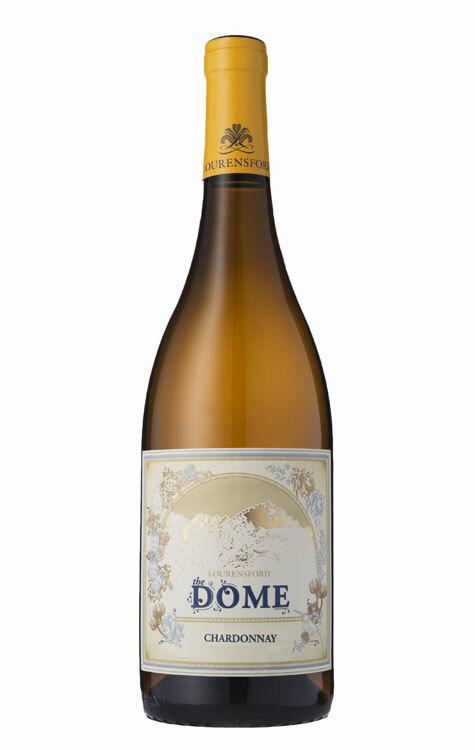 Accessible, easy drinking wines that express an abundance of varietal fruit, yet classic in style with a serious palate structure. 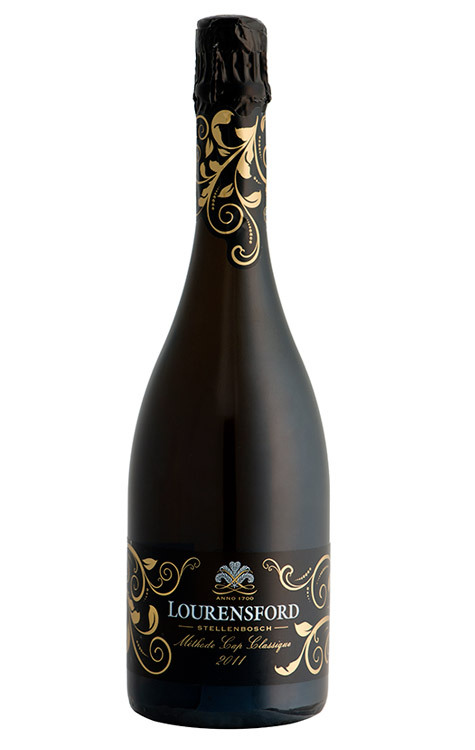 The distinctive packaging reflects the beauty, tranquillity and sheer classiness of the Lourensford gardens, inspired by the estate’s natural beauty. overlook the valley below where the Lourens River runs through. 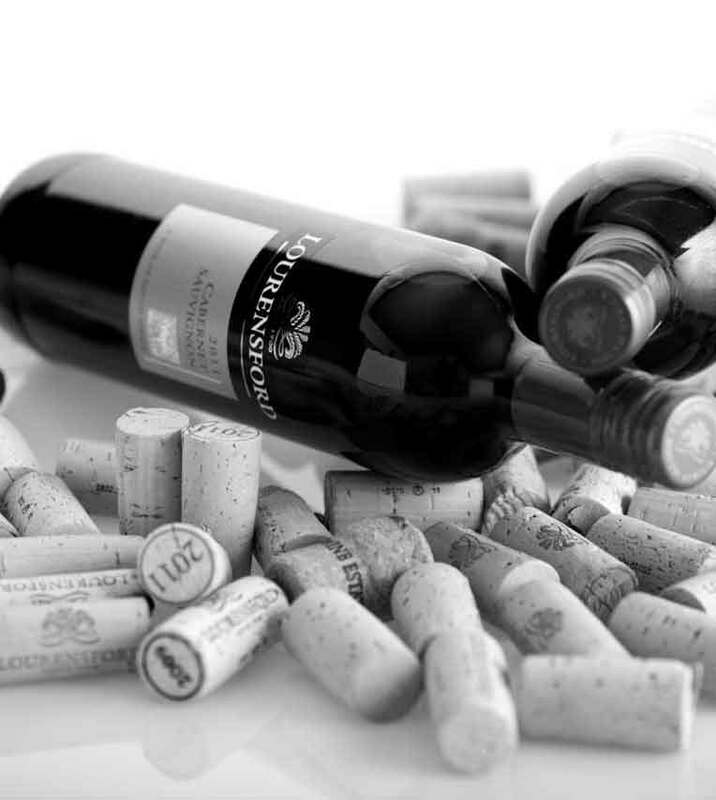 World class boutique wines that express the unique terroir qualities of the estate. Strict vineyard selection, berry sorting and delicate winemaking practices are applied to make classic, elegant, award winning wines. 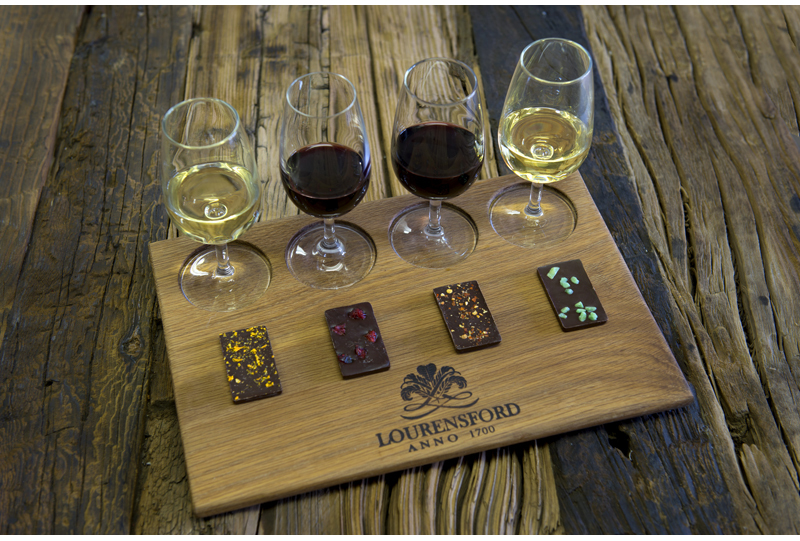 Welcome to Lourensford Estate. 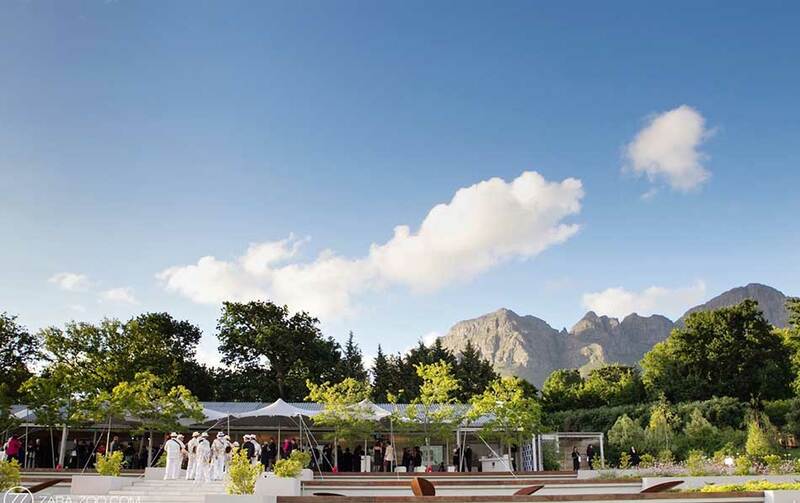 As one of the world’s most beautiful wine estates we offer a visual feast across 4 000 hectares of forest, fynbos, fruit orchards and vineyards, which rise up the slopes of the Helderberg Mountains, caressed by breezes off the Atlantic Ocean. 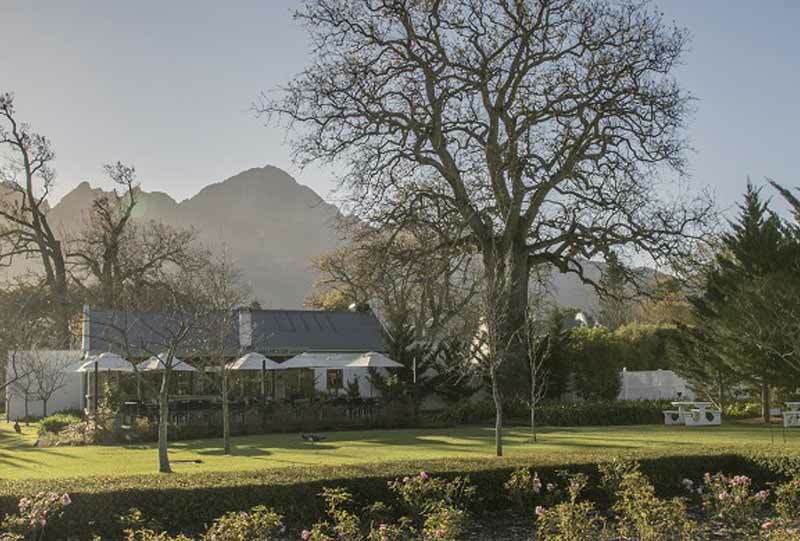 Established by Governor Willem Adriaan van der Stel in 1709, Lourensford has a proud history as a world class fruit farm and the wealth of glorious Proteas point to our rich floral heritage. 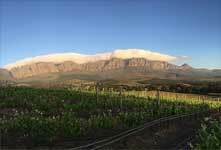 Fortunately, the winemaking tradition was revived when well known Cape business man, Dr Christo Wiese purchased the Estate in 1998. 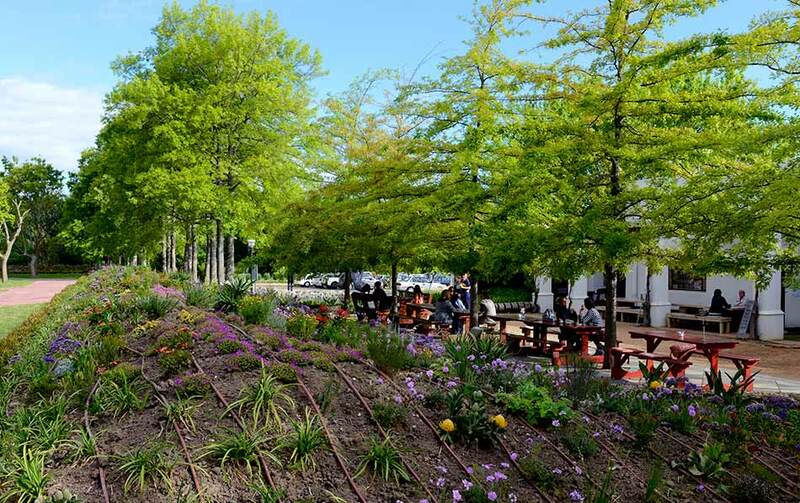 The scenic splendour, winery, restaurant, coffee roastery, art gallery, outdoor markets and music concerts, as well as cycling and trail-running events ensure we are a popular tourist destination. No wonder our working farm is as popular with the public as it is with honey bees! Neighbourhood feel and a place to relax? Come and visit our beautiful estate gardens. 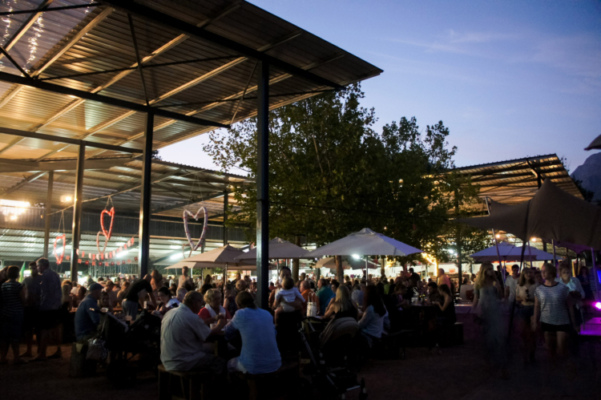 The Twilight and Sunday markets are hibernating for winter and will reopen with “First Fridays” on 7 September. 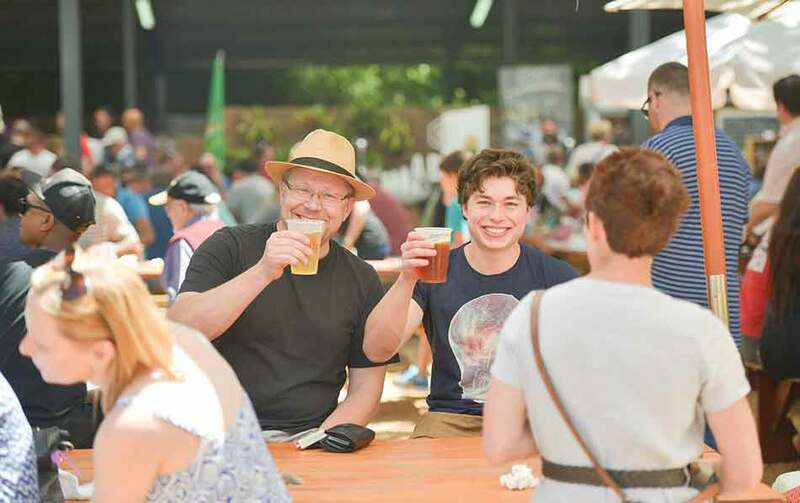 Our beloved Twilight market is taking a short break but will operational again on Sunday, 21 April 2019. 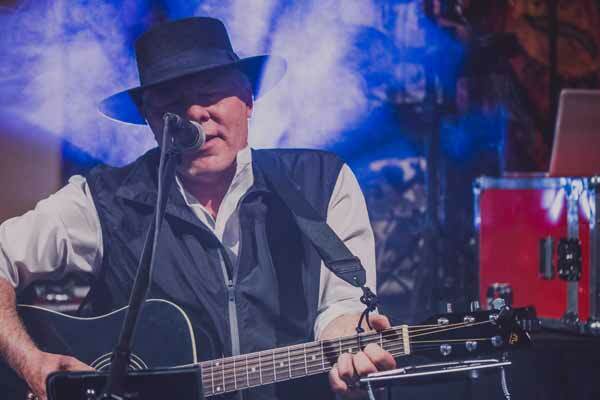 The opening performances of the Bob Dylan Tribute Concert concluded with standing ovations and comments from the audience have placed this show on par with any international show. The audiences were taken on an emotional and nostalgic trip of Dylan’s greatest hits including songs like Mr. Tambourine Man, Blowin’ In The Wind, Knocking On Heaven’s Door, All Along The Watchtower, Mighty Quinn, The Times They Are A-Changin’, Lay Lady Lay and many more. DEXAN and The Band quite simply wowed the audience. Why is this show different?……. Dexan tells the WHOLE Bob Dylan story, from his early childhood and his teenage influences, right up to his international awards into various music halls of fame, academy awards and ultimately his Nobel award for literature. This is not simply a band doing Bob Dylan covers. The Dylan songs are brilliantly arranged and presented. The stage visual is enhanced by screens displaying photography and video material of Dylan’s life, throughout the entire performance. Dexan has really created an exceptional story of Dylan’s life which includes not only his musical achievement, but introduces the audience to Dylan’s complete artistic ability in literature, poetry and visual art. (Let’s be honest……most people don’t know that Dylan was much more than a musical performer and songwriter. He is also an internationally acclaimed visual artist, poet and author). The stage musicians are exceptional professionals. Even if you have no idea who Bob Dylan is, this is a show not to be missed. It is fantastic, it is emotional, it is inspiring, it is educational, and it is downright fun!! 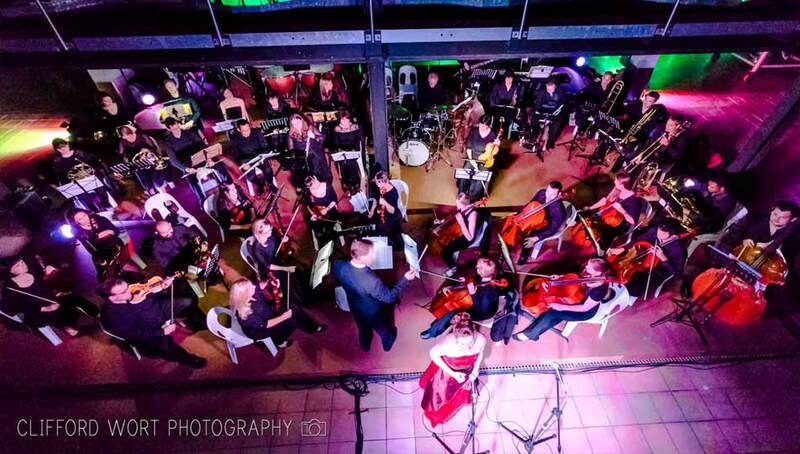 Don’t miss this one-off chance to see this nationally acclaimed show on 20 and 21 April 2019 at The Motor Studio at Lourensford Wine Estate, Somerset West. Tickets are available at www.quicket.co.za. Do a search on Bob Dylan Tribute Show. Tickets are also available at the Motor Studio at Lourensford. Alternatively you can call Ewald on 084 359 7834. Also, Dexan and The Band will be holding a cd launch of their album titled : ”Thanks to Bob Dylan” at the shows over the Easter Weekend. The album features an interesting arrangement of Dylan’s greatest songs. Sundays are for relaxing and unwinding the mind from the past week, before jumping into the next week. 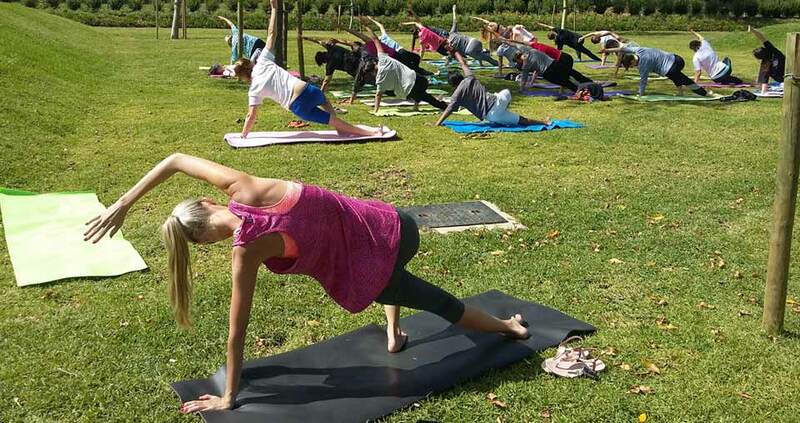 Join us every Sunday at Life Retreat Studio, for a sunny outdoor yoga, which will leave you feeling refreshed and relaxed. Followed the market on Lourensford afterward.